Home// Internet Marketing// Is SEO Still Relevant in 2019? Search engine optimization (SEO) is the process of helping your website appear in the results of search engines like Google. It requires knowledge of ever-changing search engine algorithms, which can be quite an undertaking. Because of this, most people have very little understanding of what it takes to rank highly in search engines. 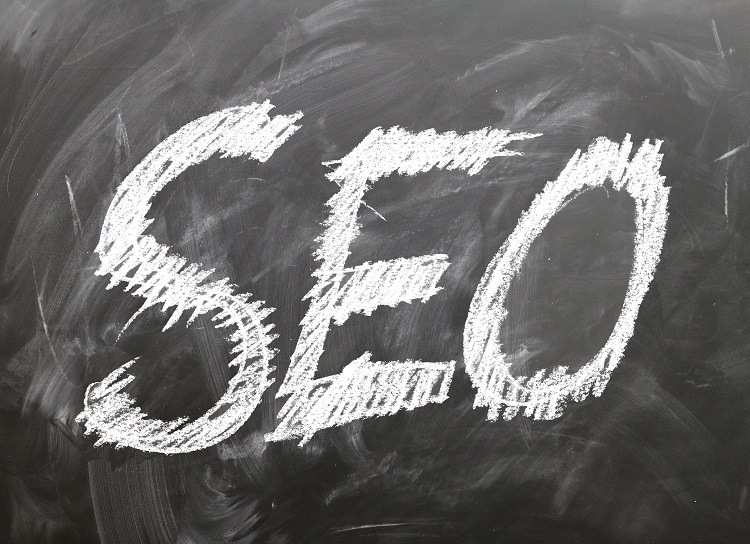 Are you wondering if SEO would be beneficial for your business? Call 888-601-5359 today to have an SEO strategist explain why you should use SEO in your digital marketing efforts! Even search engine optimizers, the people who work to make sites and pages appear in search engine results, are sometimes confused by page rankings because search engines aren’t always candid about algorithm updates. This makes website SEO challenging, and often requires constant updates. So is all of this effort worth it? Is the time spent researching keywords, carefully placing them in title tags, headers, and meta descriptions, and creating great content really worth the results? And is SEO still relevant now that so many marketers seem to be focusing solely on content? In a word: yes. There's a good chance that your competitors are effectively using SEO to grow their business. Contact us today to get started with your own SEO strategy! SEO matters, and the strategy is more important than ever. It’s an essential component to successful digital marketing efforts, and it can be the difference between attracting tons of website traffic and getting lost among the billions of other sites on the Internet. So why are some people questioning its importance? Algorithm changes continue to reward high-quality content, so some marketers are starting to think that as long as they post worthwhile content, SEO doesn’t matter. They think it will take care of itself without a strategy. While quality content is great for building customer trust and getting users to want to visit your site, it won’t be found on its own. SEO is what helps users find it in the first place, and even the best content is useless if no one ever sees it. Think about the last time you used the Internet. How did you find what you were looking for? How did you find this exact page? I’d be willing to bet it was a search engine. Considering that they are the primary method most people use for finding information and sites, it’s important to be listed in their results. Google alone processes 40,000 search queries every second, and over 3.5 billion searches per day, and there’s a good chance that at least one or two of those searches relate to products or services your business offers. So how can you connect with the users who could potentially become your customers? The best way is with SEO. Even though it requires time and energy, it’s worth doing—and doing right. As we mentioned, content can’t be successful without SEO. And considering that high quality content requires hours—if not days—to create, that could mean a huge loss for your company. Your efforts could be wasted if you’re spending time and resources creating content that fails in the search engines. SEO will ensure your top-shelf content gets the recognition it deserves. And potential customers will be more likely to want to find out more about your business if they discover a helpful piece of content you published online. Search engines process keywords differently than they used to. Old practices associated with keyword usage—such as keyword stuffing—now come with penalties. But keywords are still relevant to ranking well in the search engines. You simply have to know how to properly use them. This may seem like a negative change if you’re accustomed to simply throwing keywords into your site in random places and hoping for the best, but it is actually good news for both you and your customers. The more relevant your keywords, the more qualified your traffic will be. So even if less keywords means slightly fewer visitors, the ones you lose probably weren’t going to become customers anyway. Although they may be frustrating to keep up with, you should view algorithm changes as a positive. Remember that search engines like Google don’t change their methods in order to make things hard on site owners—they’re trying to create a better experience for their users. This means that as they develop, you’ll ultimately only get the visitors that are truly interested in your content and products. Successful SEO campaigns begin with keyword research. 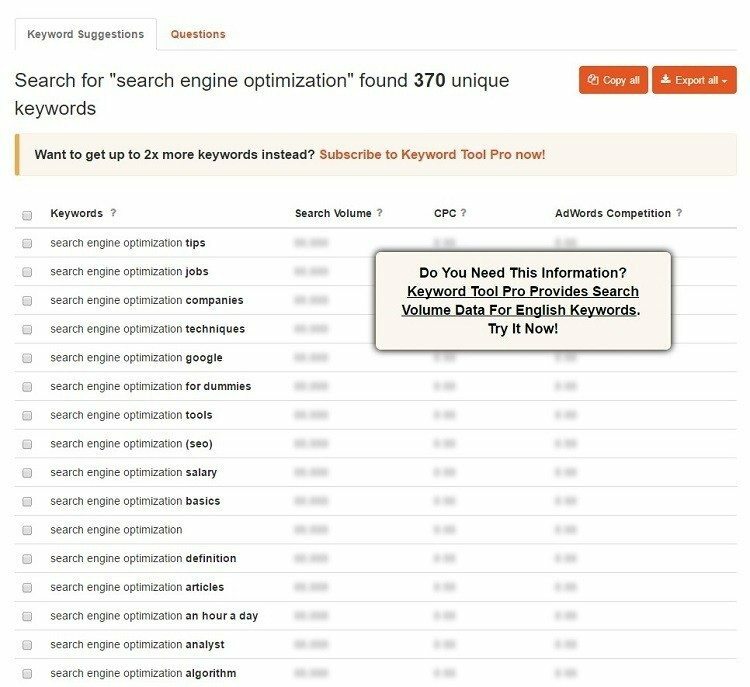 And keyword research tools, such as Keyword Tool, Ubersuggest, and SEMrush, allow you to pinpoint keywords and phrases that people search online to discover your business. This will help you to create pages that attract traffic to your website and help you earn more customers. Although search engines aren’t yet sophisticated enough to read and understand content like human beings, they can tell when you are using certain words and phrases solely to improve your ranking. The best way to avoid being penalized for this is by integrating your keywords naturally. This may mean using fewer keywords, and with less frequency, but that’s not necessarily a bad thing. Add keywords to your page title, headers, and meta description, then use them where they make sense in your body copy. If they sound awkward or forced, just don’t use them. If you’ve spent any time doing keyword research with tools like Google’s Keyword Planner, you know that there is a lot of competition for certain keywords. Instead of trying to compete for them, focus on longer, more specific phrases that are highly relevant to your business. Finding the right long-tail keywords and phrases will require some time (much like all of SEO), but can attract visitors who want exactly what you offer. SEO is changing rapidly—and it can be hard to keep up with all the trends and updates. But one thing is certain: the search engines will continue to reward high-quality content and you need SEO to make sure your audience sees the content. This makes the answer to the question “Is SEO still relevant?” a resounding yes. What if I don't use SEO? You might have the most well-designed website, but if nobody can find it, you won’t attract new customers or grow your business. This is why it’s so important to partner with a trusted SEO agency like WebFX. Need help doing SEO for your company’s site? Our dedicated team of web strategists is more than happy to assist you. Don’t hesitate to contact us today for a free quote!